Welcome to RapidTest.com, home of Diagnostic Automation / Cortez Diagnostics (DACD). We strive to produce the highest quality diagnostic test kits at competitive prices, including ELISA kits, Rapid Test kits, Chemiluminescence kits, Serology tests, IFA kits and more. Our goal is to provide research labs, hospitals, clinical labs, and physicians with the most reliable diagnostic testing solutions and the required equipments. We stand behind our rapid test kit products with an unwavering commitment to quality, customer service and technical support. If you are searching for a specific immunodiagnostic test, you can find it right here at RapidTest.com. If you are looking for diagnostic instrumentation such as Urine analyzer, ELISA tests microplate reader, microplate washer, luminometer or incubators you can find them here as well. We are your best source for diagnostic kits and instrumentation on the web. For more information about any of our tests or equipment, please contact us at 818-591-3030. Our friendly staff will be glad to answer your questions and help you find exactly the products you are looking for. Diagnostic Automation / Cortez Diagnostics, Inc. is a global leader in diagnostic innovation. Founded in 1989, the company reaches 168 countries with its Broad line of diagnostic test kits. 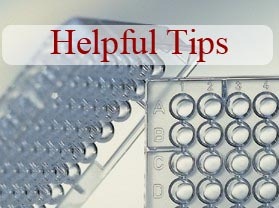 These products include ELISA kits, Rapid Tests, Chemiluminescence kits, Serology kits, IFA kits and instruments. Diagnostic Automation / Cortez Diagnostics, Inc. is recognized for its high quality and reliable products, fast Shipping, its competitive prices and committment to excellence in customer care. We do our best to ship all orders complete. Diagnostic Automation / Cortez Diagnostics, Inc. is a privately owned corporation located in Calabasas, California, USA.